On an ordinary day, the clients of CS Hudson, a company that builds pop-up stores, are clothing retailers, restaurants, and other brands. Yesterday, the clients were homeless children as young as 2. At a pop-up toy store that the company created in a vacant space at Tanger Outlets on Long Island in New York, children from a nearby homeless shelter came to pick out free gifts. “When they walk in, it’s built for them,” says Joseph Scaretta, cofounder of CS Hudson. 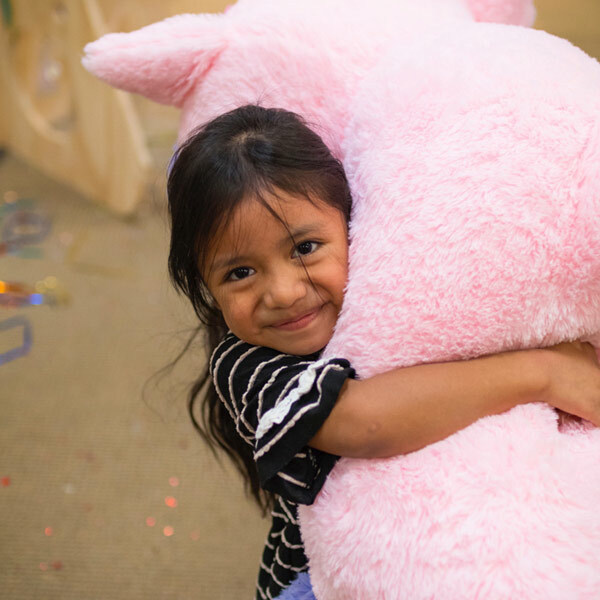 “It’s special for them.” At the door, kids got a Willy Wonka-style golden ticket; inside, on shelves arranged like a toy store, they could pick out dolls, DIY slime kits, and electronics funded by sponsors. The store also had a slime station–“slime is huge right now,” Scaretta says–a selfie station with a printer, matchbox car races on a track, and a life-size claw machine like the kind found in arcades, except with this one, you don’t just waste your money. While most companies write checks for charity, the company wanted to use its own expertise. It’s a little like Sweetgreen’s work to help a liquor store in Los Angeles transform into a healthy food market, or Toyota’s work to help a food bank become more efficient–albeit smaller and very temporary. The pop-up lasted one day. But through a new series of pop-ups called Pop Up For Good, the company plans to keep going. Last week, it opened a pop-up coat drive for a nonprofit in New York City, and another opened on Tuesday. “We want to work locally and see the impact of what we’re doing,” Scaretta says. About the author - Adele Peters is a staff writer at Fast Company who focuses on solutions to some of the world's largest problems, from climate change to homelessness. Previously, she worked with GOOD, BioLite, and the Sustainable Products and Solutions program at UC Berkeley. CS Hudson "Pop-Ups for Good"